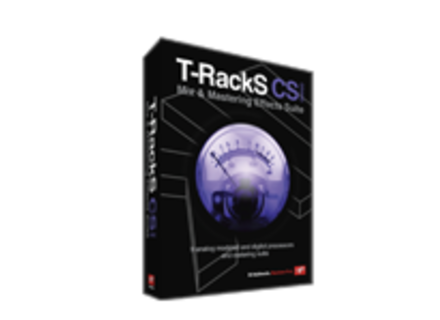 T-RackS CS Grand, Other software dynamics processor from IK Multimedia in the T-Racks series. 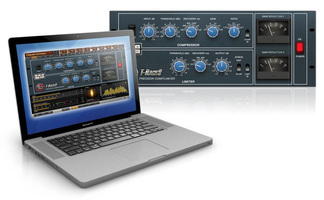 IK Multimedia updated T-RackS to version 4.2, which adds a new British-style compressor/limiter available at the Custom Shop. T-RackS v4.2 mixing and mastering audio processing single and standalone software on Mac and PC now features an emulation of a very famous 1970's british solid state compressor/limiter called Precision. Precision is available for purchase via the T-RackS Custom Shop and features two Compressor and Limiter sections: you can choose, in the first section, 6 release time options (including two automatic and audio material dependent), but the attack time is fixed and partly depends on the selected ratio. The Limiter section features a slow/fast attack switch, a fixed ratio and an adjustable recover time. The update also adds AAX 32 and 64-bit formats for Pro Tools 10 and 11. You can download the v4.2 update for Mac and Windows from www.ikmultimedia.com. Waves introduces MultiRack 9.5 Waves has updated its MultiRack plug-in host to version 9.5, available in native and SoundGrid formats. BeatCleaver updated to v1.4 Oscillicious has released the v1.4 update of its BeatCleaver sampler and beat slicer, with the addition of a real time editing mode. Boscomac offers a reverb for Reaktor Boscomac offers Reaktor users the new Floodverb free reverb add-on that includes three control modes.